Password protecting your Android phone is a general practice that we all follow. No one wants the data of their personal phone to be misused but what if you forgot android PIN. Very often we get locked out of our Samsung phone because forgot Samsung pin and then keep looking for the most effective ways to unlock that. A lock can be a PIN, password, pattern or fingerprint. When you get locked out you can either go for a Factory reset or visit a Samsung store if you forgot PIN on Samsung. 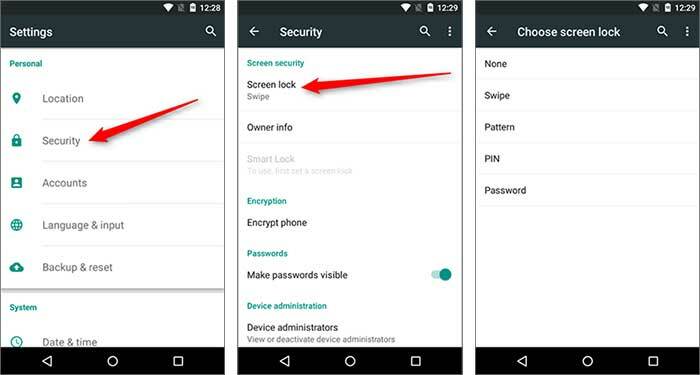 We found another very quick easy and most importantly – data protective option in case you forgot Android PIN. Factory reset will sort out forgot Samsung pin problem for you but puts your data at risk of loss. iSkysoft Toolbox – Android Lock Screen Removal is the ultimate solution for the problem of locked out screen. 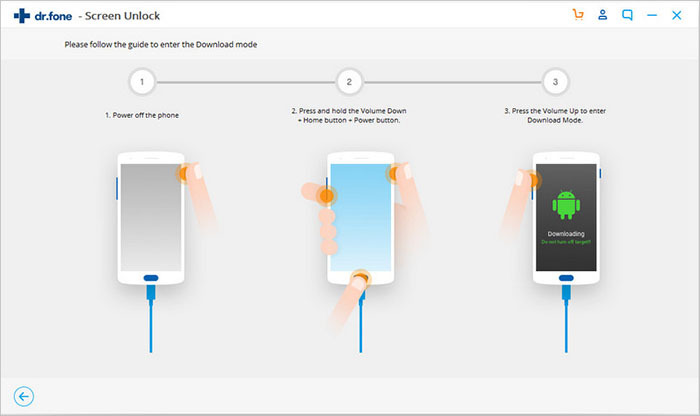 Easy downloadable and usable software iSkysoft Toolbox – Android Lock Screen Removal gives you a quick resolution to unlock Android phone screen. 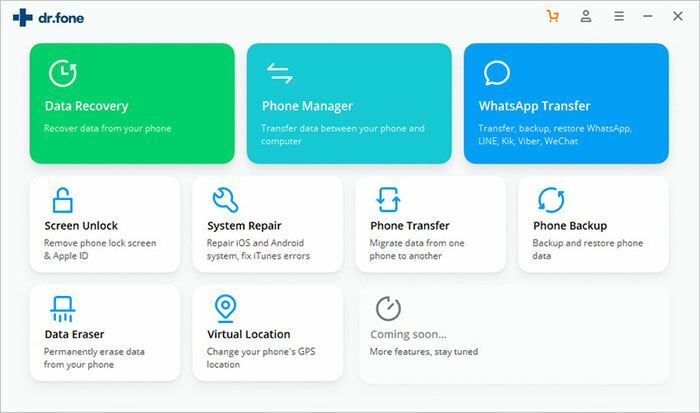 A user-friendly UI and 4 step quick processing to resolve the lock problem makes the product out beat the factory reset process. 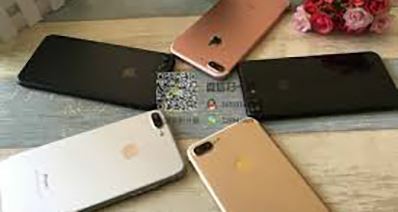 It removes all the lock types PIN, Password, Pattern or fingerprints quickly and guarantees your data to be safe. Forgot PIN on Samsung then remove the lock with software. No backups of your data required. You can keep all your data safe. Smooth Bug-free software with strong technical support team. Ease of use makes it best suitable for anyone. iSkysoft Toolbox – Lock Screen Removal is an ultimate App that guarantees your data privacy and warranty. It is completely Android compatible so in case you forgot android pin just go for this easy software. Step 1. Install iSkysoft Toolbox – Lock Screen Removal in your computer. 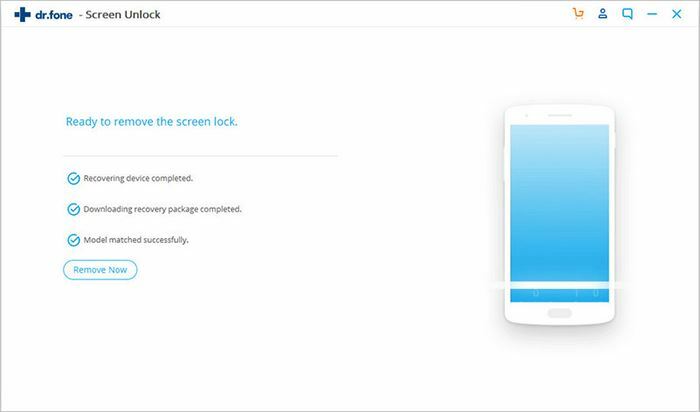 Launch the iSkysoft toolbox to select the option of ‘Lock screen removal’ for the quick removal of screen lock. Step 2. Connect the Samsung Galaxy device to your computer with a USB cable. Complete the process of ‘USB debugging’ on the Android device. Remember if you don’t enable USB debugging the process will not work. Click the checkbox under start ‘I agree with the warning and am ready to proceed’. After the USB debugging is done next is to enter the download mode. Switch off the phone with the power button. Hold the volume down, home and power button simultaneously. Press volume up and it will prompt you to enter the download mode. Step 3. 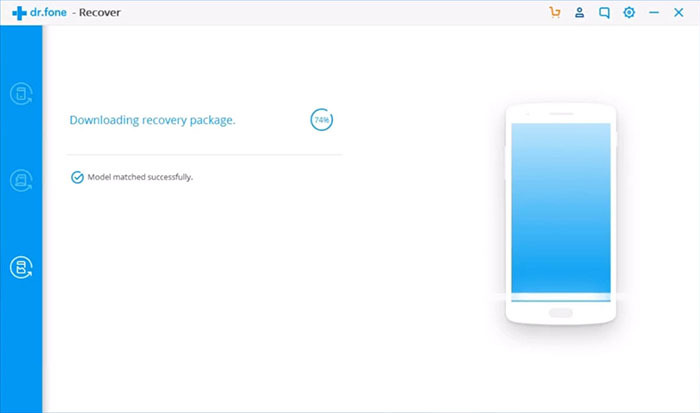 Once in download mode chose the option of matching recovery package. 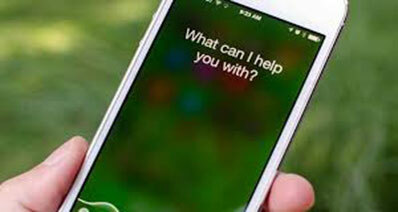 The software will automatically keep searching for the right package. As soon as it finds the matching package it will show ‘Matched package’ then you can proceed for package download. The status circle keeps showing you the status of the download. Step 4. Once the recovery package is matched the software will remove your password in a click. 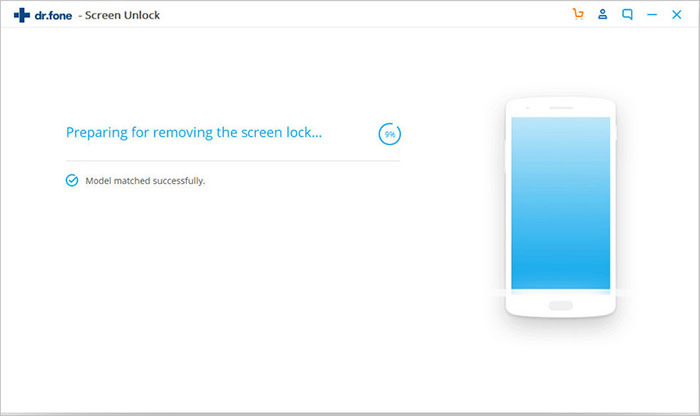 It will prompt you to check whether the screen lock is removed. Once confirmed remove the USB cable and your phone is lock free. 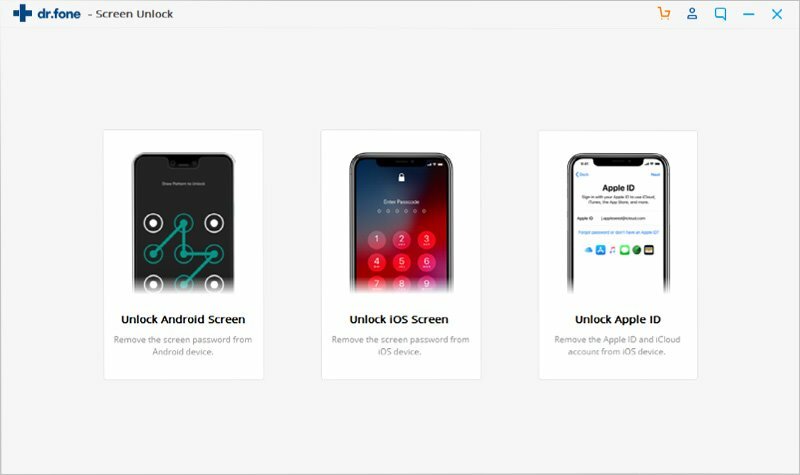 The iSkysoft Toolbox- Lock screen removal software provides you an ultimate platform to safely remove the lock and keep your data safe quickly. What is an Android PIN? Pattern, PIN, Password and fingerprints unlocks are the safest. You can either create a pattern, a numeric PIN, or an alpha-numeric password that you use to enter in order to unlock your phone. 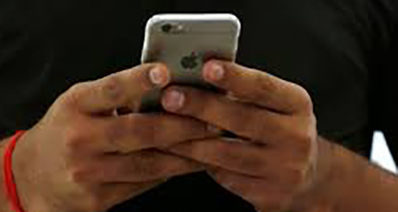 If someone does not know the pattern, PIN, or password, they are not allowed to access the phone. •	Pattern: Unlocks the device by using a set up swipe pattern over the nine dots. •	PIN: Personal Identification Number. A 4 digit number that you can use to unlock the phone. •	Password: Any alphanumeric password can be set up. It’s a little tedious way. •	Finger Print: This is the super safest option. Scan your fingerprint into your phone. Even if someone overlooks while you unlock phone using the finger print it is useless for them. The PIN can be set in Settings>Security>Screen Lock and set up a safest PIN to keep your phone data safe and secure.